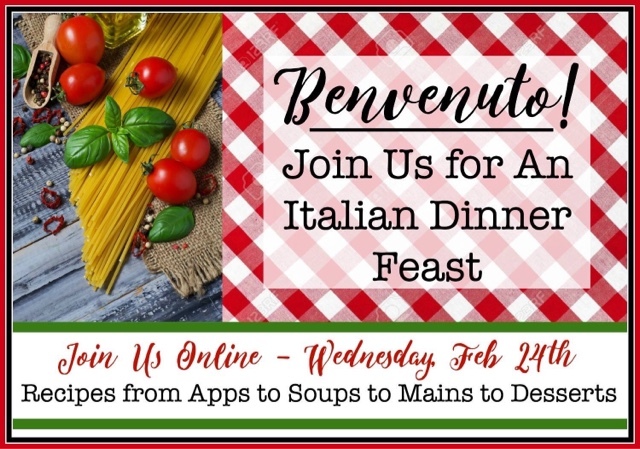 Tonight we are featuring Italian cuisine from bloggers all over the world! You will be served several courses and even a couple of printable a and table decor to round out your experience! Soups are a traditional peasant fare all through Europe and here, too, and this minestrone is so satisfying. The soup is best made with a bean broth, but that not always being available, I have substituted chicken broth. The bean of choice is the fagioli romani (the Roman bean), hence the name of the soup. 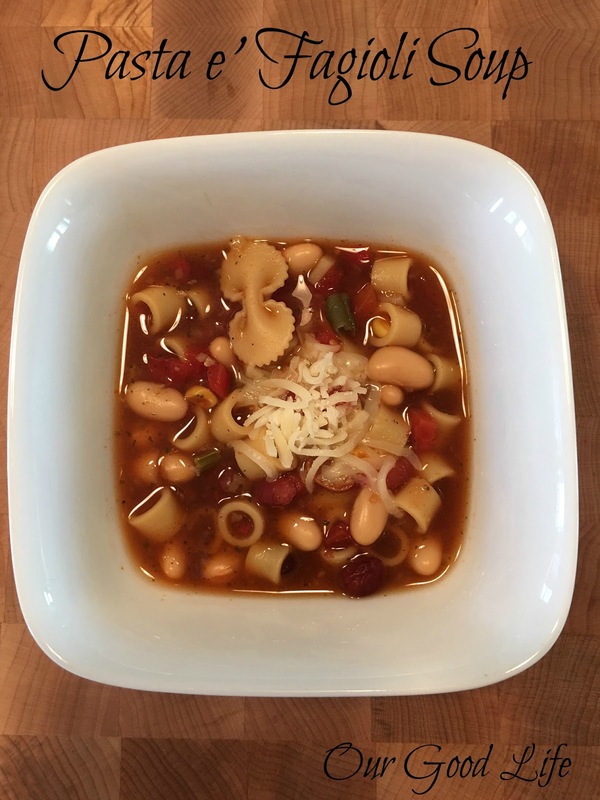 My contribution is this hearty pasta e' figioli soup that can be served as a main meal or a soup course. What's wonderful about it is that it is also a lighter version of the classic without sacrificing flavor! Cook carrot, celery an onion in olive oil until vegetables are fork tender. Stir in garlic, Italian seasoning and red pepper flakes. Cook for 5 minutes stirring often. Add hamburger and tomatoes. Cook for 10 minutes. Add the rest of the ingredients, except for beans. Cook until pasta is tender. Add beans and heat thoroughly. Ladle into serving bowls and sprinkle with Parmesan cheese and basil before serving. When a soup has pasta in it, typically there wouldn't be a bread served with it. However, for me, this soup is delightful with a thick slice of good bread rubbed with garlic. Now on to the next course! Every time I go out for Italian food I order Pasta Fagioli Soup. I am excited to try your recipe, because now I can have it at home. Thanks for sharing. I happily pinned it for later. Love a good Italian pasta soup!